Unlike ballistic missiles, cruise missiles are usually categorized by intended mission and launch mode (instead of maximum range). The two broadest categories are land-attack cruise missiles (LACMs) and antishipping cruise missiles (ASCMs). Each type can be launched from an aircraft, ship, submarine, or groundbased launcher. LACMs are the cruise missiles of concern in this document. A LACM is an unmanned, armed aircraft designed to attack a fixed or mobile ground-based target. 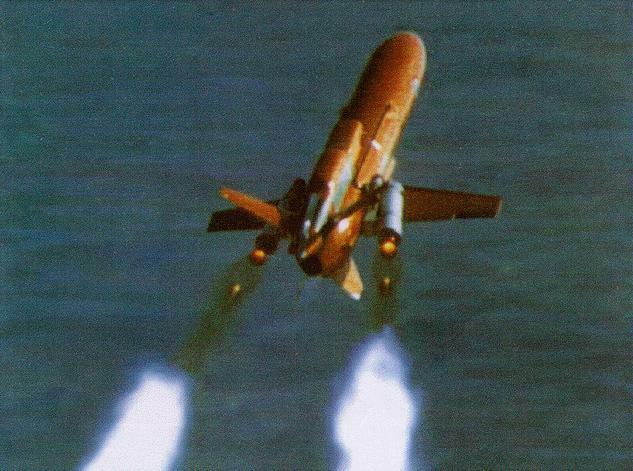 It spends the majority of its mission in level flight, as it flies a preprogrammed path to a predetermined target. Propulsion is usually provided by a small jet engine. Because of highly accurate guidance systems that can place the missile within a few feet of the intended target, the most advanced LACMs can be used effectively against very small targets, even when armed with conventional warheads. LACM guidance usually occurs in three phases: launch, midcourse, and terminal. During the launch phase, a missile is guided using only the inertial navigation system (INS). 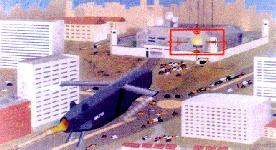 In the midcourse phase, a missile is guided by the INS updated by one or more of the following systems: a radar-based terrain contour matching (TERCOM) system, a radar or optical scene matching system, and/or a satellite navigation system, such as the US Global Positioning System (GPS) or the Russian Global Navigation Satellite System (GLONASS). The terminal guidance phase begins when a missile enters the target area and uses either more accurate terrain contour data or a terminal seeker -- usually an optical or radar-based sensor. Defending against LACMs will stress air defense systems. 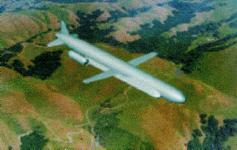 Cruise missiles can fly at low altitudes to stay below enemy radar and, in some cases, hide behind terrain features. Newer missiles are incorporating stealth features to make them even less visible to radars and infrared detectors. 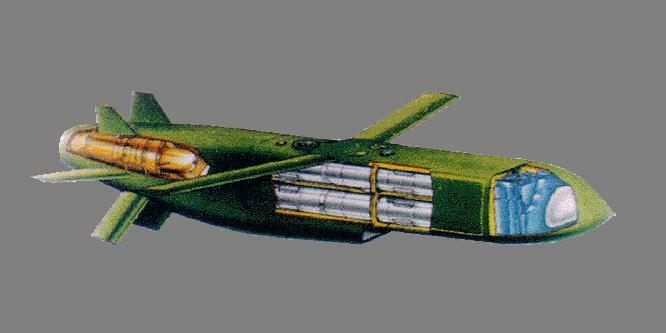 Modern cruise missiles also can be programmed to approach and attack a target in the most efficient manner. For example, multiple missiles can attack a target simultaneously from different directions, overwhelming air defenses at their weakest points. Furthermore, the LACMs may fly circuitous routes to get to the target, thereby avoiding radar and air defense installations. Some developmental systems may incorporate chaff or decoys as an added layer of protection, although concealment will remain a cruise missile's main defense. The LACM threat has been limited because only France, Russia, and the United States have operational LACMs, and none of these producers have exported their missiles. However, the threat to US forces will increase after the turn of the century, when several countries will start production, and probably export, of a new generation of LACMs. 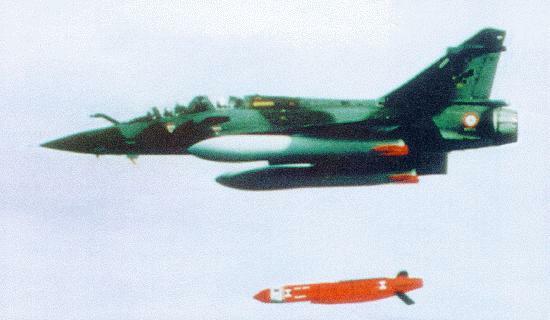 The success of US Tomahawk cruise missiles during the Persian Gulf War has heightened interest in cruise missile acquisition in many countries. The LACM market through the year 2015 has been estimated by one Western LACM manufacturer to be 6,000-7,000 missiles, not including those purchased by Russia, China, and the United States. The majority of these missiles will have the potential to perform precision-strike missions. Many will have similar features: a modular design allowing them to be manufactured with a choice of navigational suites and conventional warhead options; the incorporation of stealth technology; the ability to be launched from fighter-size aircraft; and the capability to fly high-subsonic, low-altitude, terrain following flight profiles. LACMs have multiple flight path options to minimize exposure to air defense systems. Also, many LACMs may attack a target simultaneously. A missile treated with radar-absorbing material is detected at shorter range, so air defense forces have less time to react. 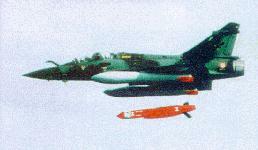 Note: All ranges are approximate and represent the range of the missile only. The effective system range may be greatly increased by the range of the launch platform.